MDSI’s (Lawrenceville, GA) The Journal of Healthcare Contracting is proud to announce that it will host the Purchased Services Summit on March 24-25, 2014. The meeting will take place on Monday and Tuesday at the Pointe Hilton Tapatio Cliffs Resort in Phoenix, Arizona. It will focus on market trends and various IDNs’ experiences in the purchased services arena. Topics include “Categorizing Purchased Services - IDN panel,” “Contracting for Purchased Services,” and “Purchased Services: Lessons Learned.” The meeting will be followed by the Market Insights Supply Chain Forum, March 25-26, 2014. For additional information and to register for the meeting, visit http://www.jhconline.com/the-journal-of-healthcare-contractings-purchased-services-summit.html. Please contact Austin Edwards at aedwards@mdsi.org with questions. Preferred Marketing Programs has formed a strategic alliance with Essential Healthcare Management (EHM). Gary Gustafson, President of Preferred Marketing Programs (PMP), will join EHM’s consulting team and bring his expertise with government hospitals to assist EHM's existing client base of small to mid sized manufacturers and service providers, grow business in the government sector. EHM will jointly market PMP’s programs, such as their GPO/IDN Contract Assessment to health care industry suppliers. EHM’s managing partner, Frank Ripullo said that “ EHM has experienced significant growth in their consultancy business over the last few years, and our alliance with PMP will broaden the services we provide to our clients and their customers. We are pleased to be aligned with Gary and Preferred Marketing Partners”. Essential Healthcare Management is excited, energized and ready for 2014. As a team, we are equipped with hundreds of years of specialized healthcare experience and knowledge. With 14 experts in various healthcare disciplines and nearly 40 clients, we have the unique opportunity to gain necessary access, create meaningful dialogue and action, and navigate the maze that is healthcare today. We know the landscape. We engage with market share movers and decision makers. Now is a very unique time in the healthcare industry. EHM is ready for the challenge. Come join us! New Team Members, New Service, New Opportunities! We are rolling out our new E HM GPO and IDN Assessment service at the upcoming Federation of American Hospitals conference in Washington, D.C. The GPO and IDN Assessment service provides a comprehensive company review to determine the best group contracting strategy to drive profitable sales, specifically, the anticipated impact of GPO and IDN contracts. Our new service is lead by healthcare veteran and recently named EHM Senior Advisor Gary Gustafson, former President and Owner of the ANAE. EHM also proudly announces Frank McGrath as Executive Director. We could not be more excited to have these two respected healthcare experts on our team! Federation of American Hospitals (FAH) Vice Chairman of the Purchase Service Subcommittee and Managing Partner of Essential Healthcare Management, LLC (EHM), Frank Ripullo, is moderating several programs at this year’s 2014 Public Policy Conference and Business Exposition. Ripullo brings EHM’s entire netw ork and expertise in hospital supply chain management and healthcare contracting to this role. EHM’s place in the healthcare supply chain allows us to build strong channels for suppliers to succeed in the marketplace while enabling providers to lower their overall operating costs. Ripullo’s team represents all areas of the healthcare supply chain, providing services while keeping quality of care the driving force behind all that we do. Opportunities to attend a variety of GPO informational break-out sessions, hospital management, networking, and educational workshops that address current trends in the health care industry are part of the conference program. Board Committee Member, and, EHM partner, John Pritchard of Medical Distributions Solutions, Inc (MDSI), will also be attending. MDSI, a leading publishing and content company, provides information, communication and educational services to providers, manufacturers and distributors involved in the healthcare sector. The conference also features presentations by leaders of Congress and the Obama Administration. FAH is the national representative of investor-owned and managed community hospitals and health systems throughout the United States. The FAH membership includes companies and organizations in the health care industry that share a common philosophy of providing high quality, affordable health care through free enterprise. What is a good deal? Is it negotiating the lowest price? Is it acquiring the best contract terms? Is it how you compare to your peer group? Is it all of the above, which is typically referred to as the “best value”? Corporate Contracts would argue it’s the latter, but a couple of challenges still remain. First, how do you know how you compare to your peers and if you don’t compare well, how can you better your position? Both of these questions can be answered with a good benchmarking and (re)negotiations initiative. The fact that a hospital spends more money in any particular area than its peers is not an indication of a poor contract. It does suggest, however, a good place to begin the hunt for potential savings. The second challenge is a bit more daunting. Most existing purchased services contracts within a healthcare organization are between 3-7 years old. This typically means that the organization’s staff has probably little or no experience with the current pulse of that particular market - making it difficult to assess the value of the contract. The challenges are real, and expending resources to probe for savings in purchased services contracts can be time consuming and costly if an overall purchased services savings plan isn’t in place. Corporate Contracts is designed to take a healthcare organization’s data, analyze it against peer data and industry best practices, report opportunities and ultimately negotiate that optimal deal. In partnership with Baseline, Corporate Contracts can offer you better ways to examine your purchased services data. Would you like to see your spend broken down similar to this? Analyze, benchmark and attack a plan of action around your non-supply spend. Do this now by contacting Corporate Contracts, LLC for your purchased services checkup. Corporate Contracts is an industry-leading sourcing and negotiations firm securing customers best in class contracts in purchased services and technology. Corporate Contracts services a wide range of customers in diverse industries such as healthcare, insurance, financial services, big 4 consulting, manufacturing and private equity. This diverse experience allows Corporate Contracts to share unmatched market intelligence across it’s customer base. For more information please contact Stan Schroeder. While IFES is a new endeavor, the model and concept is backed by the successful founders of the Institute of Healthcare Executives and Suppliers (IHES), and the The Council of Supply Chain Executives (The Council). This first meeting will take place July 17 and 18, 2014 and promises to bring premier healthcare executives together from many of the largest and most respected Health Systems in the country to meet with participating suppliers in small private groups to discuss the unique challenges surrounding both purchased services and healthcare facilities management, in a non-adversarial environment. For more information please contact Hays Waldrop at (615) 794-2501 or Hays@ihesllc.com. Every generation has its different challenges growing up. Since I am not a parent, I am certainly not an expert on raising children. And since all of our experiences growing up were also framed by our family, neighborhoods and the people we encountered – it is always difficult to make a judgment on when it was easier or more difficult to grow up. Like most things, the reality is somewhere in the middle. Each generation has had certain advantages and disadvantages as we have progressed through time. And I am not sure all of them have really been “progress”. Unfortunately, my generation may be the last with legitimate chances for almost everyone to do "better" than their parents did and live the American Dream. I think that presents unique challenges today. We would leave the house in the morning with the gear from whatever sport was in season, and my parents would say “Be home by dark.” And we played all day, often until we were forced to quit because we ran out of light. We actually kept score, and learned to both win and lose. It helped prepare us with life lessons - i.e. that things don’t always go your way. There was none of this “no competition” rhetoric that in my opinion, while attempting to protect kids, really does not prepare them for what they will face later. When we faced class elections, class ranks, ACT and SAT scores, college admissions, interviews for jobs and promotions, we had learned tools to help us deal with those situations as best we could. We learned to figure things out for ourselves, and organize our activities since there were no adults around most of the time (and we could not check in on the cell phone every 15 minutes, and there were certainly no GPS trackers). Every once in a while, tempers would flare, but we learned to deal with it since there was no referee to decide the outcome. If there is no one there to make you play nice, kids figure it out pretty quickly that there is a code that they must learn to accept. Our parents would not have thought about approaching a coach and complaining about playing time. The only time they would intervene was if things were getting way out of hand verbally or physically. I do believe all kids should play and have fun in sports, but I am not a fan of the "equal time" philosophy and having everyone play every position beyond the age of 6 or 7. Computer games were new then, and while we enjoyed playing them as we got older, they never got in the way of the other activities we did. We played soccer, hockey, ping pong or even Nerf basketball in the basement - or garage if there was inclement weather. (Granted, no matter who you are you can only play Pong so long). We made up games to keep us busy; whiffleball against the garage, basketball using Trackball paddles (wearing gloves so your hands didn’t get too beat up), throwing Darts (yes the real metal ones), even BB gun fights, using your skate board as a water ski behind your bicycle, exploring in the woods and fields, and walking everywhere. We had a paper route every morning, 7 days a week, at 5:45 a.m. We learned to work hard, sacrifice certain things, personal responsibility, and the value of money. I remember how proud I was when I bought my first Walkman, ping pong table and waterbed. It was certainly a different time. And of course we did not realize how lucky we were. Not everything we did was safe or smart. But we survived. And we learned many valuable skills. It could be considered better or worse based on your definition. But I am glad it was the childhood I had and remember so fondly. If you are lucky enough in 20 years to look back on the years you are living now, will you remember them fondly? The choice is up to you! Frank founded EHM with the idea that small industry suppliers needed a fast, inexpensive way to get a "seat at the table" to compete with the much larger companies in healthcare who enjoy large marketshare and have massive budgets to field national accounts people. This idea has been tremendously successful, as EHM continues to help suppliers of many goods and services to scale their companies in a rapid, manageable way, without adding expensive "overhead" costs. Nutrition, EVS, Facilities, Reference Lab, H.R., and others - don't have the depth of knowledge and skill to address the intrinsic challenges of negotiating with service companies in these categories. To bring value to hospitals and health systems, we have taken two separate but concurrent approaches to this problem. 1. We have worked with experts to develop tools that can analyze pricing, terms and service levels, and benchmark against other rates and prices nationally. This gives healthcare professionals a "leg up" in their negotiations. With the knowledge of how they compare vs. other systems' rates, these negotiators can then drill down to the best possible arrangements with their potential service suppliers. The tools that we are bringing to market will allow for increasing levels of expertise as more data enters the system. The database becomes more robust as more line items are entered and "normalized". The Baseline Group, helmed by President Chris Heckler, EHM's resident Purchased Services Expert - will revolutionize the way that hospitals and systems contract for services by eliminating all the various obstacles in the process. 2. EHM is partnering with a cadre of companies whose unique offerings bring non-traditional savings and/or revenue to healthcare, with proven strategies and benefits. * MainSail Group: Creating Non-Traditional Revenue Opportunities for healthcare institutions through various means such as leveraged branding, marketing exclusivity, and infrastructure investments. MainSail monetizes existing assets by using existing methods available to, but rarely used by, healthcare institutions. * Franklin Company: Reduce Expenses with no Capital Expenses. Franklin provides an industry exclusive portfolio management platform that allows facility leaders to benchmark and reduce their property's energy consumption. Typical savings from 10-45%! * Criterion Security Services: Criterion's mission is to provide professional, personalized, and cost effective security programs that protect our clients’ property, assets, and employees. We do this by employing a highly trained, professional workforce that utilizes a 10 point “best practices” approach emphasizing: customer service; high quality contract performance; a superior work environment for our staff; and the ability to improve our services through client satisfaction surveys and performance evaluations. * United Waste Solutions: UWS is a professional waste consulting company that can, in most cases, reduce your waste expenses and/or increase your recycling revenues by 25% to 60%. * Corporate Contracts: A team of Purchased Services Negotiators that will work with your organization, behind the scenes to create huge savings opportunities through a patented negotiation process that has proven successful for 15 years and has saved hundreds of millions of dollars for their customers. 2,000 lbs of organic (food) waste to bio-safety level 1 water in a 24 hour cycle. * The Baseline Group: Baseline is an innovative new analysis and benchmarking database that allows healthcare sourcing specialists to find the absolute best "deal" for their organization. * Glowzone: Glowzone provides the only patented Photo-Luminescent Exit Signs that meet the 100 foot visibility standards. This allows hospitals to replace their traditional electrical signs and save! * WestCMR: WestCMR purchases surplus surgical disposables from hospitals and surgery centers due to contract changes, budget cuts, changes in surgeon preferences and OEM return policies. Hospitals spend up to 40% of their non-labor dollars on Purchased Services. EHM is there to help reduce that number and create a more efficient organization. FEBRUARY 11, 2014 - Essential Healthcare Management is very pleased to announce that Gary Gustafson will join EHM as a consultant. Gustafson has worked with GPO’s, IDN’s and the Federal Government for more than 30 years, earning multiple awards for sales growth in all three areas during his many years with Stryker. (10 years as a sales manager and 10 years in National Accounts.) In 2006, Gustafson left Stryker to start the Association of National Account Executives (ANAE Inc.). Over the 7 years that Gary owned ANAE Inc., he set up National Account Training classes for over 500 national account managers. During this time he developed close relationships with the major GPO’s, multiple IDN’s and top federal supply officials to establish himself as recognized national accounts expert. Gustafson will use his skills in government contracting, marketing & sales to help EHM's clients grow their market share and revenue in the US healthcare market. Essential Healthcare Management is a consultantct that outsources National Accounts Management and Sales Management for healthcare industry suppliers. Essential Healthcare Management (EHM) has announced that healthcare industry veteran Frank McGrath has joined EHM as Executive Director. 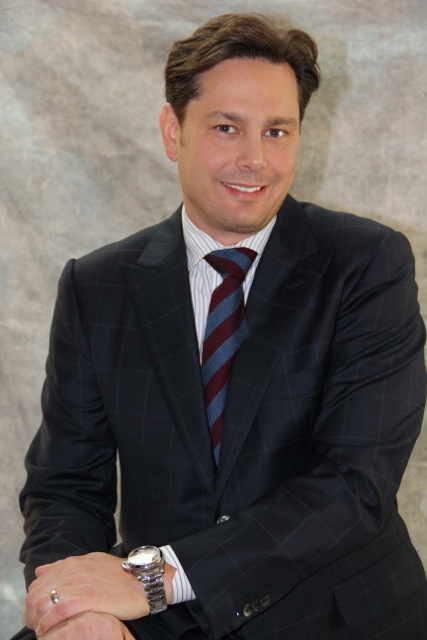 Frank has an extensive and proven sales management and business management background. He has expert negotiating skills and a highly successful background in Healthcare with GPO’s and IDN’s. He has negotiated and implemented many national account contracts that have resulted in increased company profitability and customer satisfaction. Frank has superb motivational and leadership skills that have paved the way toward a history of growth for over thirty years. He is an effective communicator of complex concepts to individuals at all levels and differing backgrounds and is the recipient of numerous company awards for exceeding expectations. Frank’s last position was Executive Director of Corporate Healthcare for Agfa Healthcare. In this position he managed their Imaging and Radiology/Cardiology IT agreements with all GPO’s. This included multiple contracts with Premier, HPG, and Novation. He implemented 13 new contracts and 6 extensions. During his career with Agfa, Sterling, and Dupont Frank also served as Zone General Manager for 12 years, worldwide Equipment Business Manager, and Service manager. He also spent time in R&D and manufacturing. Frank has a BS in Mechanical Engineering from the University of Notre Dame and an MBA from the University of South Carolina. After college he served six years as an officer in the Naval Nuclear Submarine force. Several years ago, I asked our entire sales team to read the book Lone Survivor, by Marcus Luttrell, the inspirational survival story that has recently been released as a movie. I received some incredible responses from our team (several who had admittedly not read a book in a while) and I would encourage you to read it if you have not. Since the capture of Bin Laden by SEAL team 6, and the continued exposure of BUDS training to become a SEAL, many people are now much more familiar with these incredible warriors and their indisputable mental toughness. There are several books out on the subjects, and I picked up a few on mental toughness and training. This recap is largely from Lars Draeger’s book, NAVY SEAL Training Guide - Mental Toughness. As does the author, I believe these techniques are valuable for anyone looking to improve their self-confidence and mental toughness. It is designed to help you improve upon the way you handle difficult and stressful situations to develop an “I Refuse To Lose” mindset. There are only around 2400 active-duty SEALs representing a very small and elite community in the Special Operations Forces of our military. I believe we can learn from studying what has helped this group develop mental toughness. 1) Goal Setting. Short term, mid-term and long term goals when appropriate. They focus on micro-goal setting techniques and segmentation in completing small tasks and winning along the way. They try not to focus on the fact that there are days left in training, but instead on getting through the next minute successfully, and winning that event. 2) Mental Imagery. The ability to use mental imagery of successfully completing a task or challenge. This involves positive mental imagery, visualization and mental rehearsal prior to a task or challenge. The most successful people have already imagined the positive outcomes, and how they will specifically handle each individual obstacle along the way. There are really no surprises and this helps them remain in control during the stressful situations. Think about when you went into a presentation completely prepared, extremely confident in your material and had walked through and were prepared to handle any objections you could expect. Your confidence was palpable, and bread confidence in you by your audience. 3) Self-Talk. While this sounds easy, it is not, and it becomes more difficult during stressful situations and when fatigued. In BUDs training it is often things like, “Just Keep Moving, Don’t Stop, I’ll never Quit”. Most people start out with positive self-talk, but the negative creeps in. Be conscious of when your negative talk usually starts to creep in for you, and fight it. 4) Arousal Control. The ability to partially control the body’s natural responses to stressful situations that elicit fear, anxiety, anger, nervousness, worry and other negative emotional reactions. One key is the 4 x 4 breathing technique: Inhaling deeply as if to fill up your lungs for 4 seconds and then exhaling in a steady and even manner for 4 seconds for at least 1 full minute (and preferably 2 or 4). While this was a very quick recap, most of you have been successful in your personal lives and careers. Thus, you have used these techniques in different forms and to varying degrees. Hopefully this gives a more formal name and guide to research and improve your performance in whatever area you choose. Each time we face our fear, we gain strength, courage, and confidence in the doing. Theodor Roosevelt 1901. In today’s busy world, we often crave this consistency and control that allows us to stop and focus in on those people that are most important to us. It is really easy this time of year to find discussions about people not being in the “true spirit” of the holidays, and not recognizing the “true meaning” of the holidays. “It has become too commercialized”. “The focus is on the wrong things”. Certainly in some cases this may be true. But comfort and happiness can be found and appreciated in different ways. As I grow older, I realize that what these traditions really represent to me, is the chance to spend time with the people who mean the most to me. If we are doing something we really enjoy doing – that is a bonus. It is a time when we can be with those who know and love us despite who we are, and who we are not. The events in the background just give us the excuse to carve out the time in our busy lives. So this holiday season, really enjoy your traditions, and look to make new ones. Either way, the reasons behind them are the important things to celebrate. And they will live on as memories to comfort us when we need them. They will help us remember to celebrate and be thankful for who and what we have. And hopefully this makes us better people. To me, that really is the spirit of the season. Happy Holidays to you and your family. May they be your best yet. They can be. It is up to you! Every generation has its different challenges growing up. Since I am not a parent – I am certainly not an expert on raising children. And since all of our experiences growing up were also framed by our family, neighborhoods and the people we encounter – it is always difficult to make a judgment on when it was easier or more difficult to grow up. Like most things, the reality is somewhere in the middle. Each generation has had certain advantages and disadvantages as we have progressed through time. And I am not sure all of them have really been “progress”. And unfortunately, my generation may be the last with legitimate chances for almost everyone to do "better" than their parents did and live the American Dream. I think that represents its own challenges today. We actually kept score, and learned to both win and lose. It helped prepare us with life lessons that things don’t always go your way. There was none of this “no competition” rhetoric that in my opinion tries to protect kids, but really does not prepare them for what they will face later. When we faced class elections, class ranks, ACT and SAT scores, college admissions, interviews for jobs and promotions, we had learned tools to help us deal with those situations as best as we could. We learned to figure things out for ourselves, and organize since there were no adults around most of the time. (and we could not check in on the cell phone every 15 minutes, and there were certainly no GPS trackers). Every once in a while, tempers would flare, but we learned to deal with it since there was no referee to decide the outcome. If there is no one there to make you play nice, kids figure it out pretty quickly that there is a code that they learn to naturally accept. Our parents would not have thought about approaching a coach and complaining about playing time. The only time they would intervene was if things were getting way out of hand verbally or physically. I do believe all kids should play and have fun in sports, but I am not a fan of the equal time and everyone plays every position beyond the age of 6 or 7. Computer games were just coming out, and while we enjoyed playing them as we got older, they never got in the way of the other activities we did. We played soccer, hockey, ping pong or even Nerf basketball in the basement or garage if it was inclement weather. (Granted, no matter who you are you can only play Pong so long). We made up games to keep us busy; whiffleball against the garage, basketball using Trackball paddles (wearing gloves so your hands didn’t get too beat up), throwing Jarts (yes the real metal ones), even BB gun fights, using your skate board as a water ski behind your bicycle, exploring in the woods and fields, and walking everywhere. We had a paper route every morning, 7 days a week, at 5:45 a.m. We learned to work hard, sacrifice certain things, responsibility and the value of money. I remember how proud I was when I bought my first Walkman, ping pong table and waterbed. If you are lucky enough in 20 years to look back on the years you are living now, will you remember them fondly? The choice is up to you!. The older I get, and hopefully that means a little wiser, the more I appreciate all the nuances of what our experiences are in this wonderful gift of life. Despite all the struggles, frustrations, anxiety and difficult times we all experience, there is so much good out there if we just acknowledge it. Unfortunately, we often choose to acknowledge just the opposite. The following story is from Chicken Soup for the Soul, What I learned from the Dog… I dedicate it to our 10 year old dog Jeffrey who has been an endless source of love, joy, laughter and companionship. My middle name is Jeffrey – and he came into our lives at a difficult time when we learned we could not have children. People have often joked with us that if they have to come back, they would like to come back as our dog. The truth is, he has been so much more than that – and he has given us much more than we can ever give him. “Years ago, I owned the very best dog in the world. I was a child when we got her. She was a graceful brown hound, a foundling who taught me that our pets are not purchased, but ordained. She romped when I did and knew when to smile in that funny way only dogs have. She grew up with me, always there when I needed her. My grown hand still remembers the sleek bump on the top of her head and that gentle divot just past her nose that fit my index finger just perfectly. She passed away during one of my college vacations. My heart broke then, and I knew there would never be another dog like her, and there hasn’t been. I was sure that I could never love another dog as much as I’d loved her. My next dog came into my life when I was married. My husband traveled for a living, and I was often lonely. This dog grew into a lumbering Wolfhound and Sheepdog mix who taught me patience. He was a large, grizzled sentry, that dog. He rarely left my side until the children were born, and then he became their guardian too. I can still feel that swirl of fur along his back and the weight of his chin when it rested in my lap. When he passed away, my heart broke. As much as I had loved that childhood dog, I had been wrong. This was the very best dog in the world. There would never be another dog like him, and there hasn’t been. I was sure I would never love another dog as much as I’d loved him. We got the next one, a loping black Lab-and-Terrier mix, when the children were little. He taught me the importance of adapting. He was everyone’s dog from the beginning, and that was just as it should be. When he played tug of war with the children, he dragged them across the kitchen floor as they shrieked with laughter. He always seemed to sleep in the room of the child who needed his company most. These days his face is expressively gray, and he spends more time with me since the almost-grown children aren’t around so much. The other day my oldest, home from college, played tug of war. We all laughed – just a little – as the dog was gently pulled across the kitchen floor. He is, of course, the very best dog in the world. I will never forget that exquisitely soft tuft of fur behind his ears or the tickly feel when he nuzzles. There won’t be another dog like him. And that’s okay, because we will never be at this point in our lives again. Sometimes I’ve wondered why two species that get along so well should have such different life spans. It just doesn’t seem right. And then I wonder if that’s part of the lesson: To teach us that love itself has a spirit that returns again and again and never really dies. It’s amazing, in a way, how they bring to our ever-changing lives exactly what it is that we need at that moment. They make room for one another, this family of dogs who has never met. And they fit – into our families, into our live, into our memories, and into our hearts – because they always have been and always will be the best dogs in the world. T’Mara Goodsell. If you get a chance – either donate to, volunteer at or adopt a dog from a shelter. Each of those dogs is the best dog in the world just waiting. They are gifts that we probably don’t deserve. But thank goodness we get them anyway. In our positions, every one of us is a salesperson. Whether salesperson is really your title, or you are a manager, executive or even a coach or parent in your personal life – you are selling your ideas, beliefs, opinions and values almost all the time. Go to the library or book store and look at books on sales – you will find many of them dedicated to the art of “Closing the Sale”. I have always believed that many sales training programs spend too much time talking about closing the sale. Much of this is probably because at that point in the process, if you have not followed the steps of the sale properly, it can be uncomfortable for the sales person and the customer. If you have built rapport, uncovered needs, engineered agreement to move forward at various times of the call, asked engaging questions, kept the other parties involved and talking, used checking questions throughout the call, customized features and benefits to their situation – the close should be a natural process when the customer is ready to buy. If we have not done our job well as a salesperson, there are no magic words to say at that point. In my experience, the fear of rejection usually happens most when we are not prepared, or know we have not done a thorough job. I have always believed that getting the customer to “take ownership now” in their minds in the sales process, and visualize themselves already benefiting from using your product or service is the ideal situation for you and your company. And if they do have true objections – you need to understand what they are and if/how you can work together to deal with them to their satisfaction. "Sounds to me like you’ve already pictured yourself using this, right?" "Any reason why we shouldn’t move forward with the paperwork?" "Any reason to wait any longer?" "What will we need to do from this point to get going?" "If I’m reading you correctly, you’ve already decided to do it, right?" "Normally when I hear that from someone, they’ve made up their mind to go with it. Is that the case?" If you were to bring this into your unit, how would it impact your respiratory staff? If you had this on your ambulances, in your opinion how would it impact patient care? If we can move this up and not wait for the next budget cycle, it will mean 20 patients that you can use this on to drive positive outcomes before then. If you were able to place your orders via the website, how would that impact your day? How would your staff react if you were able to bring this in for them to make their jobs easier? How might this product help you deal with the staffing shortages you mentioned you are facing? Asking for their opinion is different from asking for a true yes or no to buy. Then I can gain an understanding of why they feel that way at this point, and I can close if it is positive or work to understand their objections, and deal with it in a way that does not make them defend their position, which can be uncomfortable for all involved. We all know that in today’s professional selling environment, the initial close and “yes” is often just the beginning in a process that involves many decision makers at many different levels. Professionalism is a key in today’s marketplace. But you do need to get those “yes” answers along the way – so find what works for you and keep improving. And as a manager, investor, coach, parent or anyone influencing others, helping them see and understand the benefits and potential positive results is a key. People buy on emotion and justify it logically. In everything we do.